NEW YORK, NY & MONTREAL, Canada: A Blue Man cameo in Cirque du Soleil coming soon? Cirque du Soleil is buying performance art group Blue Man Productions to diversify its entertainment offerings beyond theatrical circus shows. Financial terms of the deal, announced Friday, weren’t disclosed. Cirque’s CEO Daniel Lamarre told USA TODAY that the Montreal-based company paid a price in the “tens of millions” to Blue Man’s shareholders, which include co-founders Chris Wink and Phil Stanton. “The acquisition of Blue Man Group considerably widens Cirque du Soleil’s audience pool,” Cirque du Soleil said in a statement. Cirque du Soleil started as a street performance group in Montreal in 1984 and expanded globally, staging shows in 60 countries. 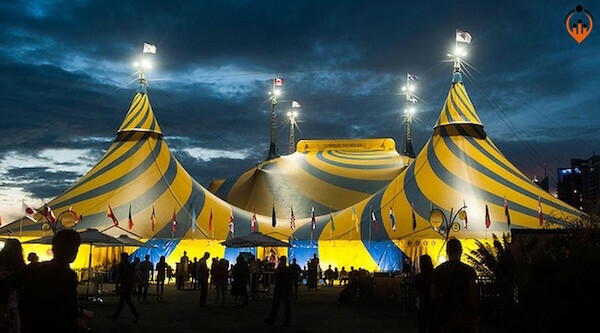 In 2015, Cirque’s founder, Guy Laliberté, sold the company to a group of investors, led by private equity firm TPG Capital, for about $1.5 billion. While Cirque du Soleil’s show content is constantly refreshed, the company sought to enter other entertainment areas. The company will launch an ice show later this year. In partnership with the NFL, it’s currently developing an NFL-theme attraction on Broadway that will allow customers to have an “immersive” pro-football experience, Lamarre said. Cirque du Soleil is also working on touring and permanent shows in China.